The stone fireplace on the far wall, is just about the only element that remains from the original space. It’s game time, baby! But which game to watch? Fortunately, that’s a choice former University of Cincinnati Bearcat basketball player Keith Gregor and his wife Sherry no longer have to make. Last fall, when the Cincinnati Bengals played at the same time as the couple’s beloved University of Cincinnati Bearcats, the two were faced with a dilemma: which game were they going to watch? Instead of choosing, they decided to drag another television into the room. Although it was a temporary fix, their solution planted a seed in their heads—as the final seconds on the play clocks wound down, a need, a demand, a dream was born. 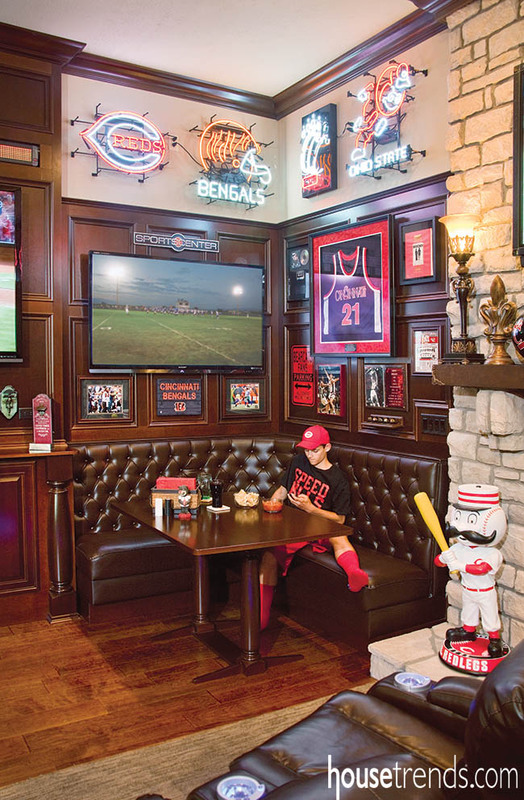 Upon entering the house, visitors might do a double take and wonder in confusion at how they have, all of a sudden, walked into a sports bar. Conveniently located, not in the basement, but in the family room next to the kitchen, the room is something one might possibly expect from the 6’5” tall Gregor, who was team captain for the Bearcats during Coach Huggins’ era and helped his team compete all the way to the Elite Eight twice. 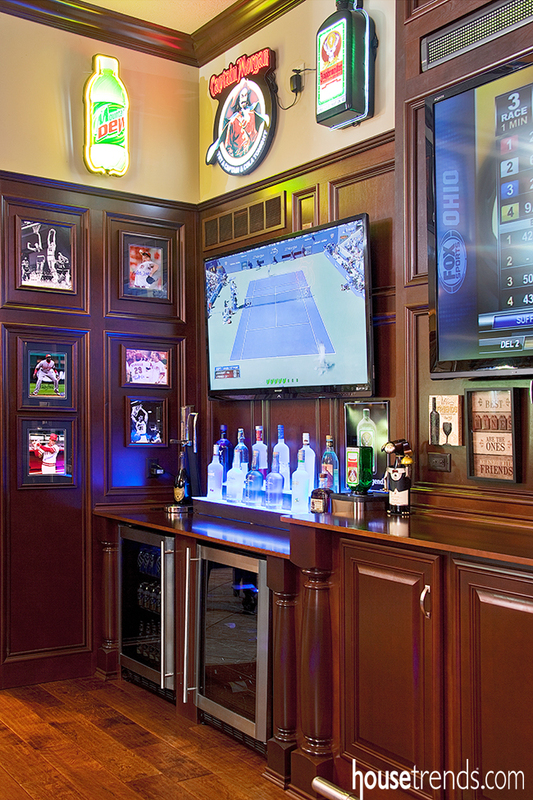 But the sports-bar-themed room idea was actually Sherry’s (Keith’s 5′ tall wife). 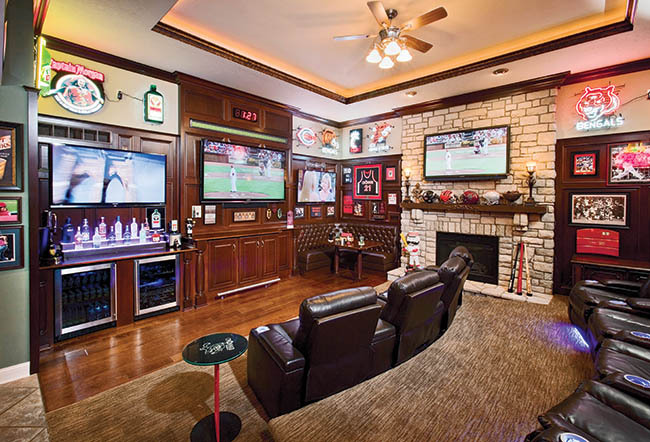 When it came to dreaming up this ultimate man-cave, Sherry, a graduate of The Ohio State University and an avid sports fanatic herself, took the ball and ran with it. 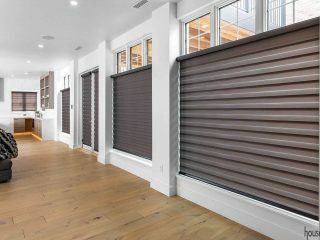 Roth first worked on building cabinetry in his workshop, then, while causing very little disruption to the Gregors’ daily lives, he worked on site for 2-1/2 weeks, creating handsome woodwork that would perfectly frame the walls and pull the room together. Setting just the right warm and inviting pub mood, the crown, frames, paneling, molding, cabinets, columns and corner table are all made of solid maple with a deep, dark stain. Stealing one’s attention upon entering the 20 by 22-foot room is an 80-inch television accompanied by a powerful sound bar, flanked by two 60-inchers. As if that wasn’t enough, another 65-inch television is placed above the working gas fireplace, perfectly situated to be seen easily in the kitchen. 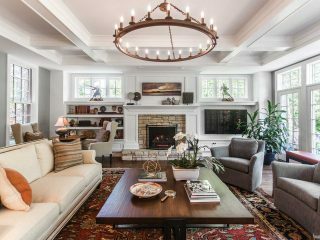 This ideal layout was optimized for entertaining purposes, without missing a play. 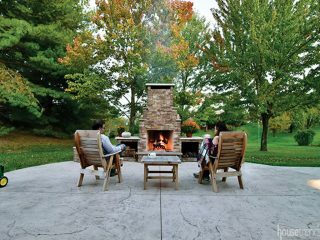 As inviting as the homeowners themselves, comfortable, unobstructed seating lures guests to sit and relax. 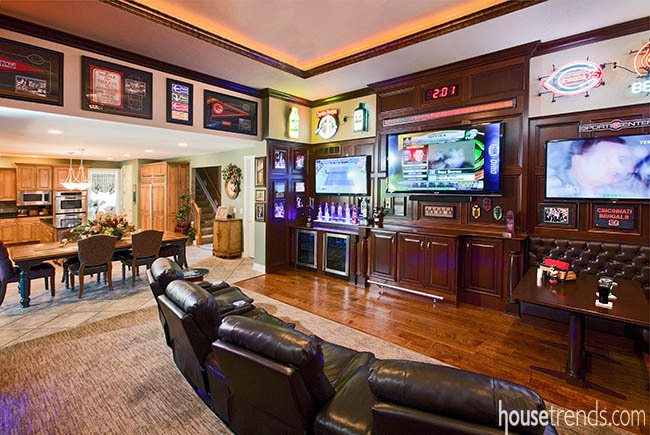 Perfectly situated on the floor, split into two rows with the back row slightly elevated creating a stadium-style seating, are eight luxury leather home-theater recliners, complete with neon lit cup-holders and bases. This seating arrangement is ideal for all-day viewing comfort. Accompanying the recliners, located on the corner of the room, is an elegant restaurant-style booth, perfect for game time munchies. What’s a sports bar without alcohol? A lighted shelf highlights some of the hard liquor offered, and next to the shelf is a Christmas gift from Keith to Sherry: a Jagermeister tap that pours perfectly chilled shots. 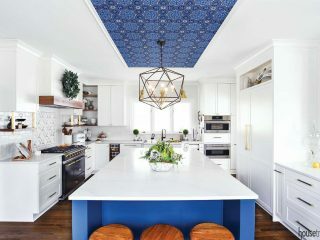 Just below the liquor shelf are two beverage refrigerators, with beers in one and wine in the other, rounding out and appeasing the needs of the 21-and-over crowd. 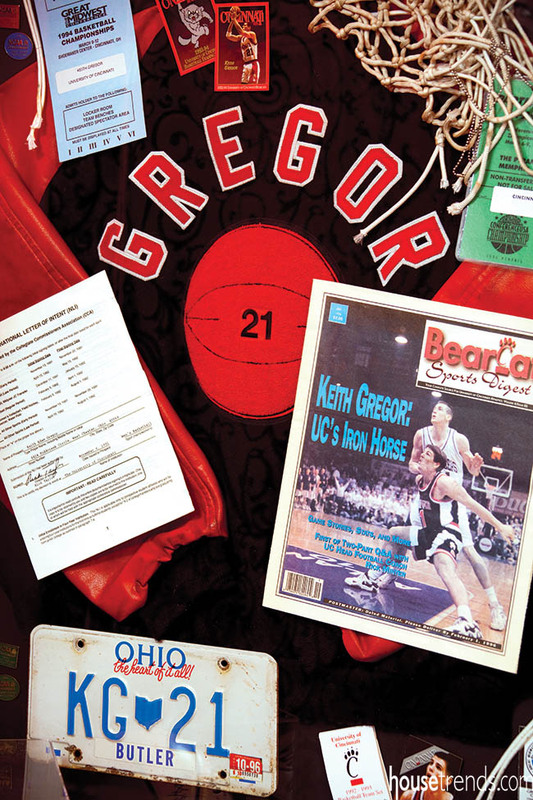 Pushing forward, the Gregors went the distance by finishing the room with a carefully chosen collection of sports-related memorabilia. 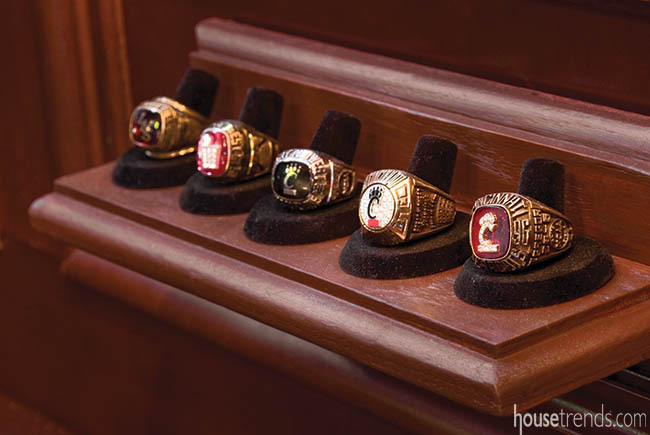 With a bit of a hall-of-fame look about it, the room can entice visitors to spend hours looking through everything on display. One section of the wall is covered with mementos from Keith’s playing days. Other sections include autographed photos and sports items, ranging from neon bar signs to a giant Mr. Redlegs bobble-head. 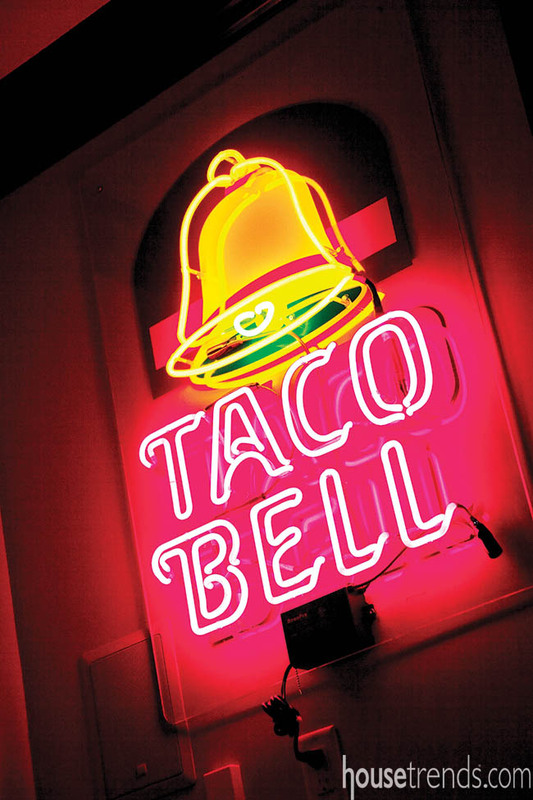 The collection even includes a Taco Bell neon sign glowing brightly in the back corner of the room, commemorating the place where Keith and Sherry met just before his senior year in college. Going above and beyond, there’s even a ticker above the center television, displaying any special messages and live updates of scores and news from around the world. Even before the tipoff, kickoff…first pitch, this room generates excitement. The Gregors have created a fitting room for gathering, not just for sports viewing, but for all occasions.